Let’s not lose track of the real story as we examine the details of last Sunday’s assassination of prosecutor Alberto Nisman: His murder is all about Iran. 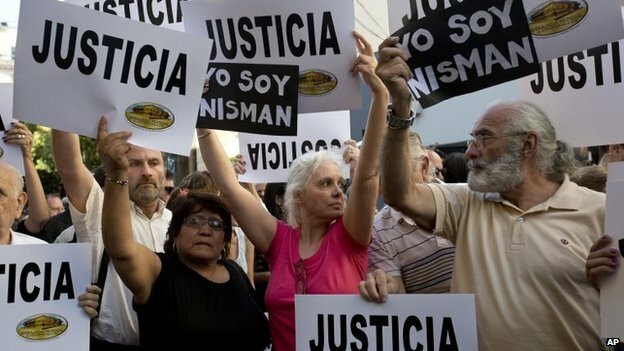 Through his investigation of the 1994 AMIA bombing, Nisman found out that president Cristina Fernendez had allegedly been secretly negotiating with Iran since 2011, and conspiring to cover up Iran’s role in the 1994 terrorist attack. 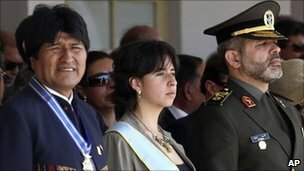 He brought a civil lawsuit last week, asking the judge to freeze $23 million of assets belonging to Mrs. Kirchner and the others named in the complaint, and was scheduled to testify to Argentina’s Congress on Monday, but was prevented from doing it by a single shot to the head.
. . . Nisman made an enemy of Iran, a country with a history of killing its political opponents in foreign countries. In May 2013, Nisman issued a scathing report that implicated several senior Iranian officials by name in the AMIA bombing. Just four months earlier, Kirchner’s government had signed a memorandum of understanding with Iran to investigate the incident. Part of the deal, however, was that Nisman’s investigators would not be allowed to interview senior Iranian officials. Argentina also got a favorable trade pact to import Iranian oil in exchange for grain. Nisman said the terms of the Iran-Argentina joint investigation amounted to a coverup. The AMIA attack occurred in 1994, before Iran’s government began trying to clean up its image with the rest of the world. It was before Iran elected its first reform government in 1997, and before Iran’s current government agreed to nuclear negotiations with China, France, Germany, Russia, the U.K. and U.S.
And yet many of the senior Iranian officials Nisman named still have influence. They include Ali Fallahian, who is today a member of the regime’s council of experts, the clerical body that would choose Iran’s next supreme leader; Ahmad Vahidi, who served as Iran’s defense minister between 2009 and 2013; and Ali Akbar Rafsanjani, the former Iranian president and a favorite interlocutor of many Western diplomats. He was found in his bath­room in a pool of blood. Next to his body was a 22 cal­iber firearm and a bul­let casing. He died from a bul­let to the head. Ear­lier accounts said the entry point was on his right side towards the rear of the ear; the offi­cial account says it was the right temple. The gun that shot the bul­let in Nisman’s brain was not his, although he owned and had per­mits for two firearms. The government’s Sec­re­tary for Secu­rity was on the scene before any of the inves­ti­gat­ing author­i­ties (includ­ing the inves­ti­gat­ing pros­e­cu­tor and the coroner’s office). The police prevented medics from two ambulances (one arriving at 10:45PM, the other at 11:30PM) from entering the premises. Nis­man left a shop­ping list for his housekeeper. He had talked to his personal trainer on resuming his regular schedule. Last week Nisman transferred for safekeeping 330 CDs containing evidence to another person for safekeeping. Appar­ently none of the ten secu­rity offi­cers assigned to pro­tect Nis­man was sta­tioned on the thir­teenth floor of the apart­ment build­ing on which he lived. None were on the premises from Saturday until Sunday afternoon. His apart­ment has a main entrance and a ser­vice entrance, but all the initial reports only men­tioned the main entrance. Inves­ti­ga­tors found another means of access to the apart­ment through a hall­way where the air-​conditioners are located, with a door that leads to the apart­ment, where they found a fin­ger­print and a foot­print. The lock­smith called to open Alberto Nisman’s door on Sun­day asserts that the ser­vice door to the apart­ment was unlocked. Ariel Lijo, the Argen­tin­ian judge who received Nisman’s 300 page com­plaint alleg­ing the involve­ment of Pres­i­dent Cristina​Fer­nán­dez de Kirch­ner and oth­ers in cov­er­ing up Iran’s cul­pa­bil­ity for the 1994 bomb­ing of the AMIA, ordered the seizure of all doc­u­men­ta­tion and other evi­dence referred to in the complaint. Author­i­ties raided both his home and his office for all doc­u­ments regard­ing any of his investigations. On Wednesday the gov­ern­ment released a copy of the 300-​page civil com­plaint against Fer­nen­dez that Nis­man was sched­uled to tes­tify to Congress. In addition to the Iran allegations, Cristina Fernandez’s administration is also allegedly involved in money laundering and precursor chemical trafficking, according to this report by Douglas Farah. Adding to the list are new accusations of cover-ups by another Argentinian prosecutor, Germán Moldes. Nis­man had been barred by the Argen­tin­ian gov­ern­ment from tes­ti­fy­ing on Iran’s increased influ­ence in South Amer­ica at a U.S. Con­gress sub­com­mit­tee hear­ing in 2013. Lee Smith recently wrote that in regards to the nuclear negotiations Iran is “pushing through an open door.” It’s not just in terms of the nukes, it’s also in terms of the regional hegemony. The US is willing to cede a huge amount of the Middle East influence to Iran. And now to go along with the outreach, the destabilization has only accelerated. Senator Robert Menendez (D – N.J.), the ranking member of the Senate Foreign Relations Committee, pushed back today against the White House’s claims that Congressional action could derail negotiations with Iran over its illicit nuclear program. 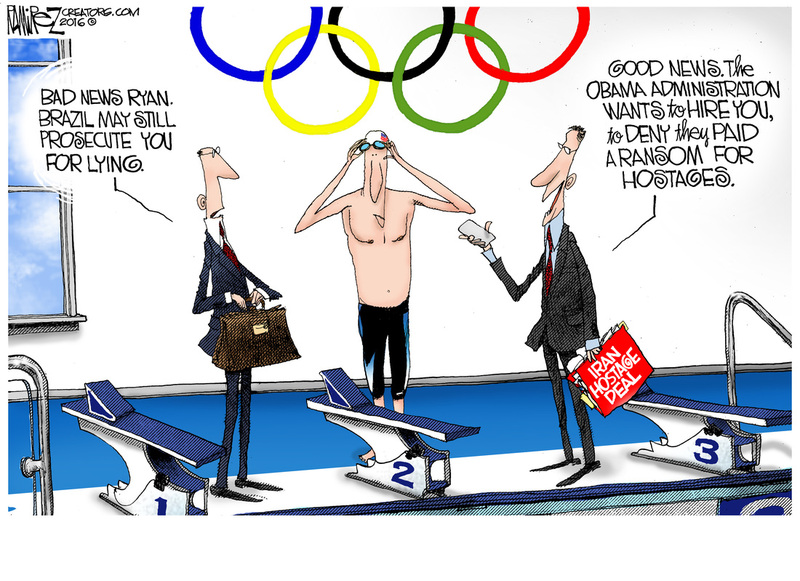 In his State of the Union speech last night, President Barack Obama claimed that such initiatives “will all but guarantee that diplomacy fails” with Iran. The more I hear from the administration in its quotes, the more it sounds like talking points that come straight out of Tehran. And it feeds to the Iranian narrative of victimization when they are the ones with original sin: an illicit nuclear weapons program going back over the course of twenty years that they are unwilling to come clean on. Read Claudia Rosett on Alberto Nisman’s Warning About Iran, especially page 2. Mexican humorist Paco Almaraz has Cristina in the burnt-out unit, and brings up the names of “suicides” Brigadier Rodolfo Echegoyen, Jorge [sic – the correct name is Horacio] Estrada, Alfredo Yabrán, Lourdes di Natale and Marcelo Cattaneo (in Spanish). Linked to by Legal Insurrection. Thank you! Linked to by IBD. Thank you! Linked to by Shadow Diplomacy. Thank you! Today’s podcast at 11AM Eastern, Iran’s New Defense Minister Wanted for Bombing. My post, Iran’s New Defense Minister Wanted for Bombing is up at Real Clear World.